My family have had a busy week this week. Son’s graduation ceremony on Monday, son’s public high school entrance examination on Tuesday (correction: Wednesday, not Tuesday), and the announcement of successful applicants on Friday. 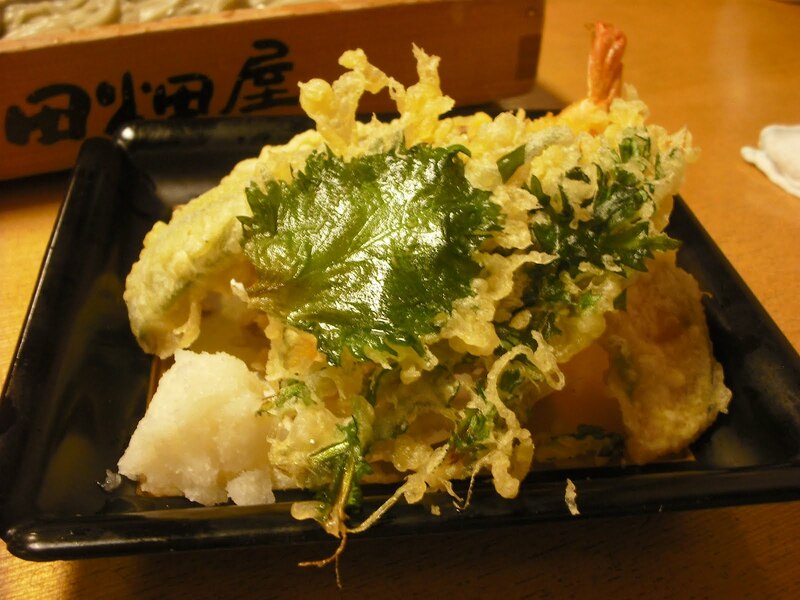 Friday night, we went to Tabata-ya to celebrate son’s admittance. 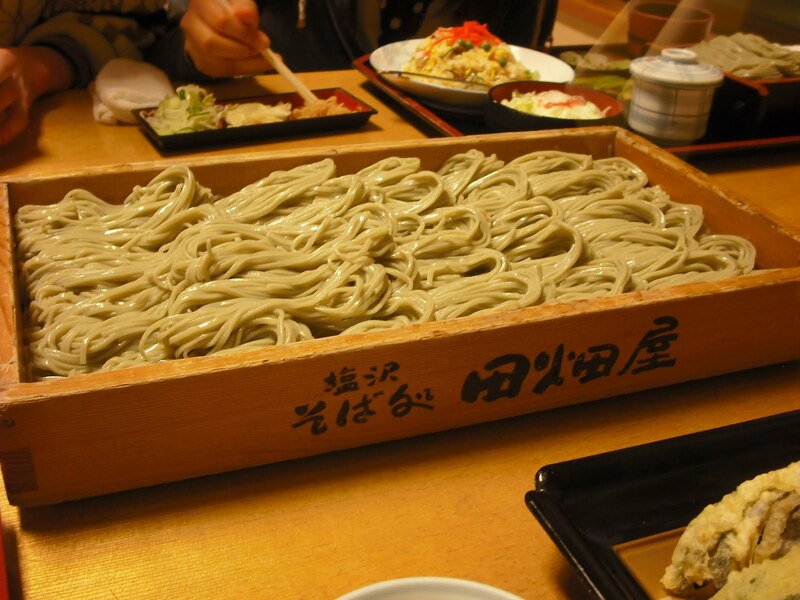 Tabata-ya is a buckwheat noodle restaurant located here in the Shiozawa area of Minami Uonuma city. 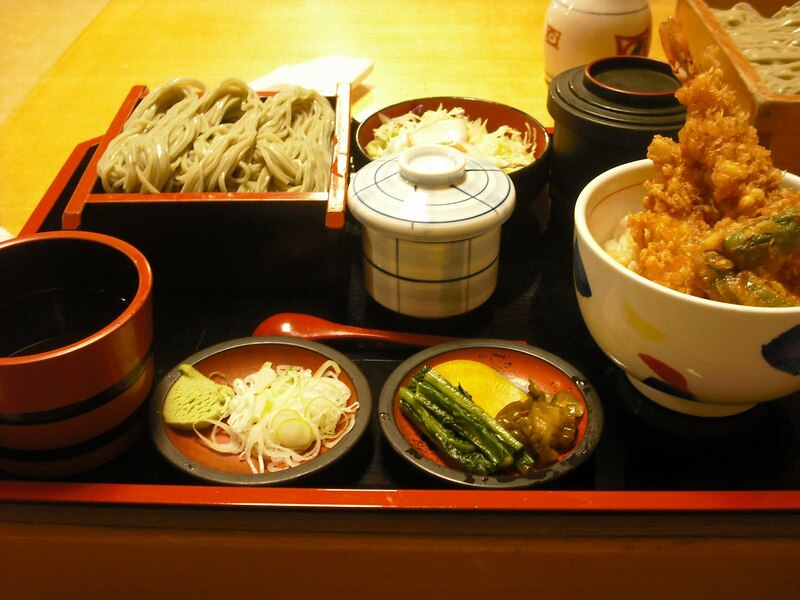 We like the “hegi soba” served at this restaurant, as I previously described here. shared by my wife and son. also shared by my wife and son. My daughter ordered a chahan (fried rice) set. I ordered a tenjuu set. 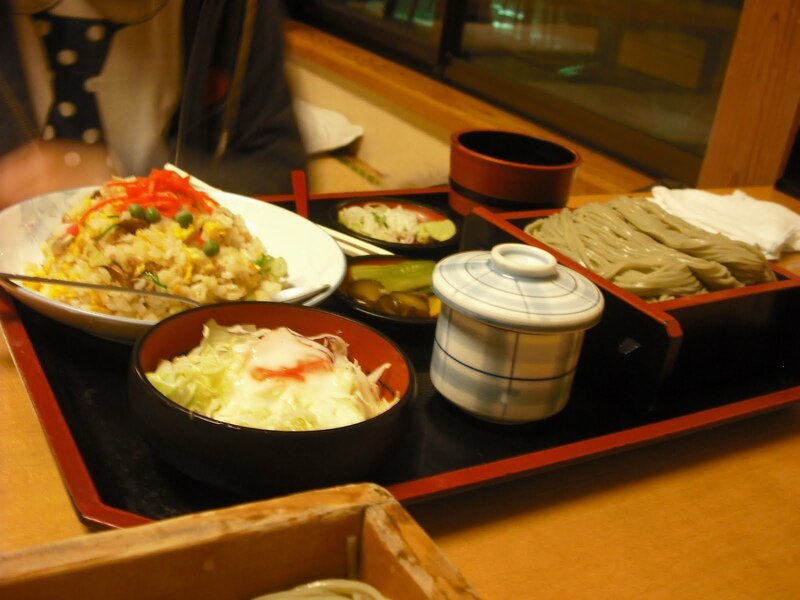 The top right lidded black bowl contains miso soup, while the lidded bowl at the center contains chawanmushi.